LIMITED & NUMBERED EDITION OF 99 PIECES WORLDWIDE! Applied polished finished black plated index hour markers. Polished finished black plated hands. 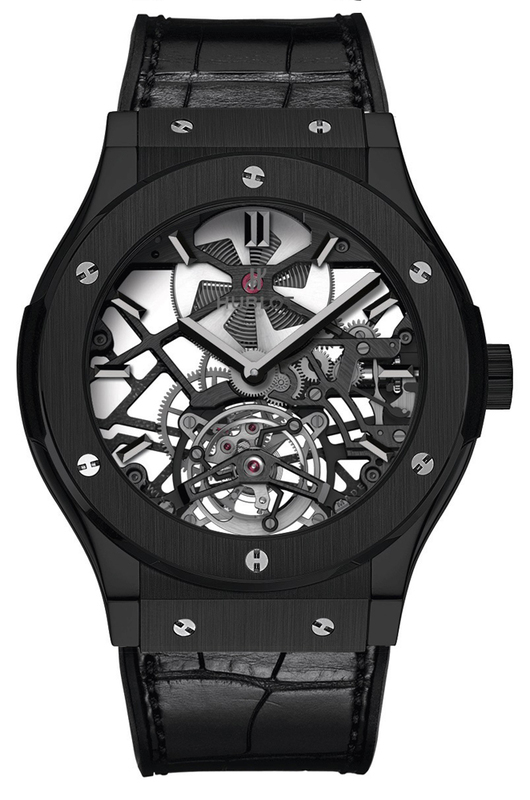 Hublot In-House Manufacture Caliber HUB6010, beats at 21,600 vph, composed out of 155 parts, contains 19 Jewels & has an approximate power reserve of 120 hours. 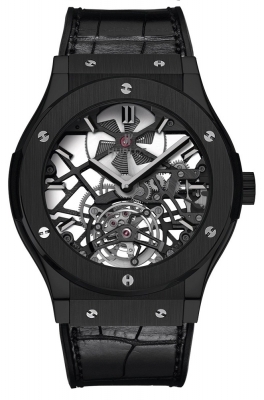 Features a rhodium plated polished finished balance wheel.